The quality of this playing is altogether exceptional. 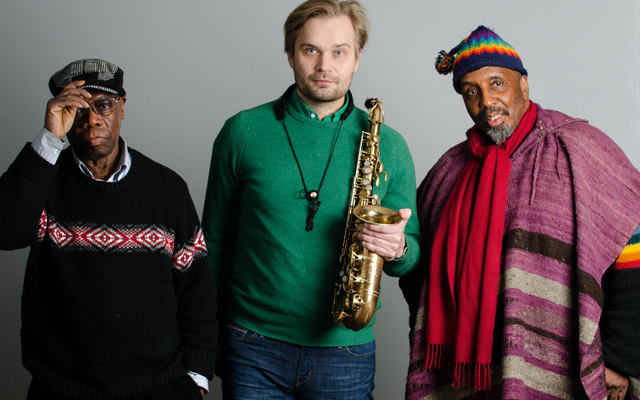 Reeds and woodwinds player Mikko Innanen together with their grey eminences, bassist William Parker (on CD 1) and drummer Andrew Cyrille on both discs take nothing for granted. Nor should we in listening to them. If you know how music written in an abstract impressionistic vein goes, if you know how Ornette Coleman goes, or how Eric Dolphy, or Don Cherry or anyone from else from a generation that made the music of countless new decades goes, then this music will open your cranium in a manner that music rarely does. Not that anything these musicians do is wildly idiosyncratic and yet everything that Mr. Innanen, and Messers. 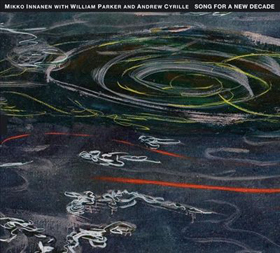 Parker and Cyrille do is provocatively iconoclastic, and extraordinarily atmospheric à la Modest Mussorgsky on Pictures at an Exhibition. At the same time, the young Finnish musician shows no sign of being a budding prophet. Rather he understands that every interpretation of his music is but one possibility, and he offers us a very enticing opportunity to open our minds especially in those unfamiliar works by a composer following in the footsteps of Ornette Coleman, Eric Dolphy or Don Cherry into a New Decade. Unlike some I am not disconcerted by the grand and spacious sonic design of these pieces on CD 1, and of the songs on CD2 2. I sense the underlying feeling of rush and the mystic revelations that abound. I find the haunting notes of the saxophonist as he makes unexpected twists and turns into another world of this New Decade. It’s full of glinting lights, mysterious depths, expectations, frustrations, hopes and doubt, like the shattered shadows of a quasi-Coleman composition painted in blue and caught in the glinting of moonlight. In sheer colour and variety, in the depth of its characterisation and the exceptional range and refinement of musicianship, Mikko Innanen here imparts power and enormous stature to the surrounding pieces which no amount of “bigness” on the part of other reeds and woodwinds players can achieve. And the variety and stylishness of the rest of this enterprising programme of Songs (on CD 2) is matched by the performances throughout CD 1 and CD 2. Mr. Innanen brings effortless Colemanesque urbanity and lyricism—if not the bluesiness—to all of the musical items on these discs. His playing is as seductive as it is persuasive and an object lesson in the very essence of style. The Songs on CD 2 are played with buoyant, aristocratic grace and psychological ambiguity and he is (rightly) almost insolently effortless, bringing debonair virtuosity and swagger when it comes to the cycles of pieces on CD 1. Moreover there is an easy swing to the songs on CD 2 which are also virtuosic, goblinesque and ravishingly beautiful. All in all, this is a partnership of reeds and winds, with bass and drums that evoke style and virtuosity that few musicians can hope to achieve.